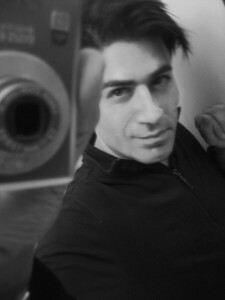 Alek Keshishian is an award winning film and commercial director, writer, and producer as well as a photographer. His advertising clients include Coca Cola, Peugeot, Volkswagen, Max Factor, Aprilia, Brut, Bailey’s and Toyota. Keshishian’s photography has been featured in Vanity Fair, Vogue, W, Harper Bazaar, Marie Claire, People and in publications around the world. He has worked with celebrities including Madonna, Gwyneth Paltrow, Orlando Bloom, Chelsea Handler, Daryl Hannah, Natalie Portman, Jennifer Aniston, and Sandra Bullock. Keshishian’s first film Madonna: Truth or Dare was the highest grossing documentary of its time. His feature film With Honors, starring Joe Pesci, Brendan Fraser, and Patrick Dempsey, opened at number 1 on its release. Keshishian also wrote, directed and produced an indie comedy called Love and Other Disaster which was a festival favorite. Keshishian has made some of the most watched advertising virals, including both Smartwater campaigns starring Jennifer Aniston. He is repped by Hey Wonderful / RSA films in Los Angeles.